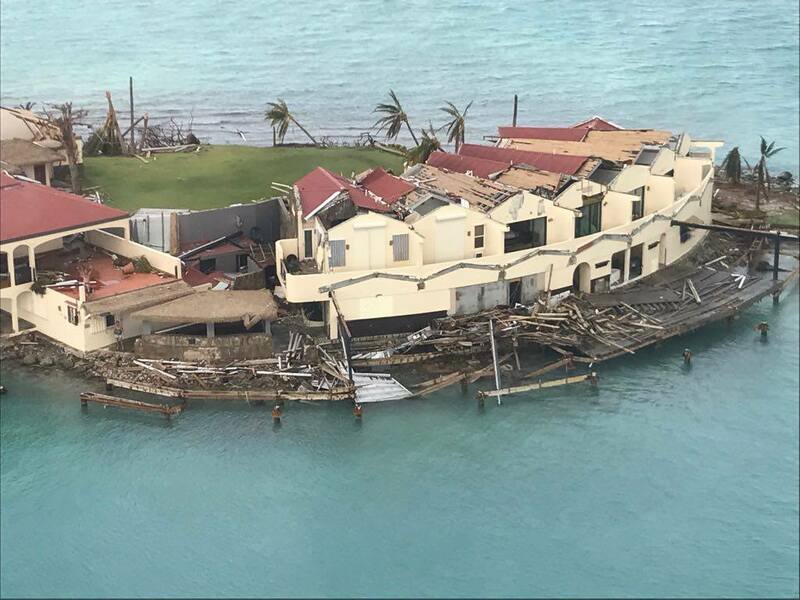 I can't take my eyes off the devastation wrought by hurricanes Harvey and Irma in the Caribbean and Gulf of Mexico last week. Hoping for the best for friends and relations in Texas, across Florida, and the Virgin Islands - both now and in the coming days. I guess it's simple human nature that the images that come out of these catastrophic events hit harder when it's a place you've been, recognize, enjoyed, and impacts people you care about. "Escaped prisoners and hundreds of looters armed with guns and knives terrorise hurricane-hit islands as police from Britain and France are flown in to restore order. 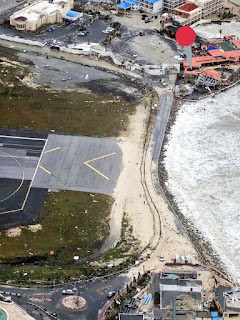 Several people who were stranded on the island said looters had begun raiding hotel rooms and homes to profit from the natural disaster. Jos Smart, 26, and his girlfriend Julia Taylor, 30, reported being too afraid to leave their 'half-destroyed' hotel amid reports of looting and violence outside. 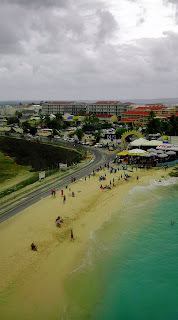 Describing the apocalyptic scenes in St Maarten Jos Smart's father Ian said: 'They have not had any water for a day. 'They said the sounds were apocalyptic and they have likened it to a war zone. They are holed up in a half-demolished bathroom and their phone is running out of battery. There have been rats in their room looking for food. He added: 'At night time there were people knocking on their door, and so there are 12 hours of sheer blackness to get through with the terror of who is going to knock down the door." "For the British Virgin Islands, St Martin, Anguilla and Barbuda, tourism is the lifeblood of their economies. Thousands rely on holidaymakers for their jobs and livelihoods. The graphic images of destruction are already having an effect. British Virgin Island local Emma Paull says: “We need the tourists to come back. Yes, we have been hit hard but we can get better. People are already emailing to cancel holidays booked for next year. Thankfully, British holidaymakers have always been a hardy bunch. And returning to help support these idyllic islands is the only way we can truly help them." 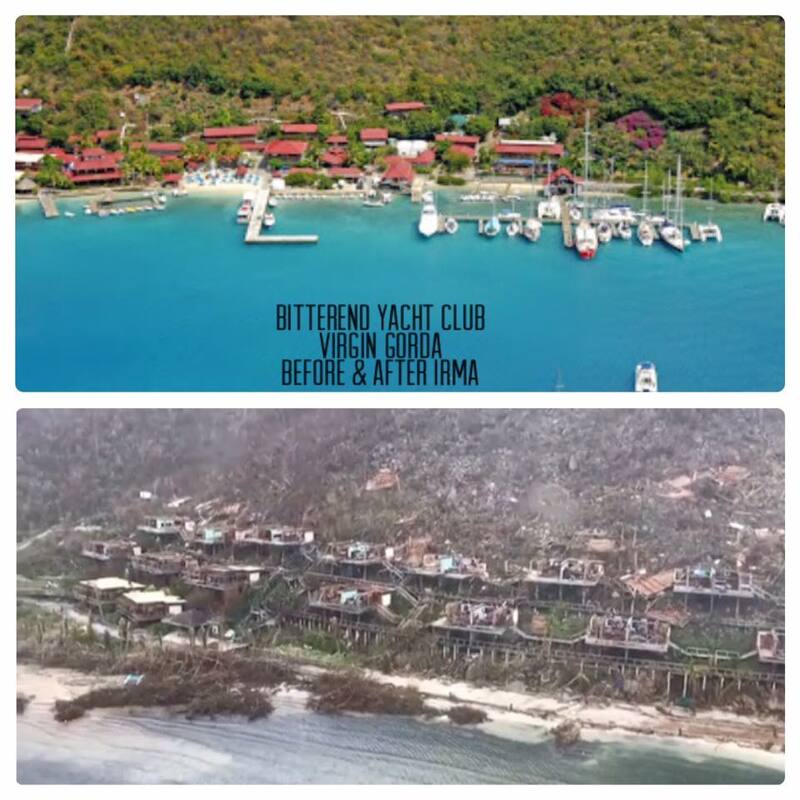 Probably the best thing we can do (After contributing to Texas, Virgin Islands & Florida relief funds) is to continue to plan to patronage the area in the hope they can repair it between now and then. I've no doubt that they have the strength, spirit and will, but with the scale of devastation wrought by this hurricane, I'm just not sure there will be enough workers to get it done before complete our passage in December. Anyone with the wherewithal should do what they can to help the people impacted by these catastrophic storms.